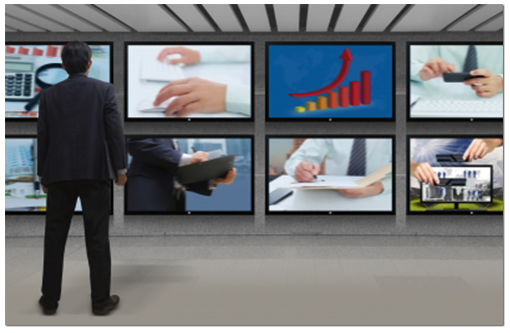 Digital signage is a form of electronic display that shows constantly changing messages. The uses can vary from providing public information, to creating an enhanced customer/visitor experience, to advertising products and services both inside and outside of a venue, and is one of the fastest growing methods of marketing to a large scale mass audience. It has the potential to create a significant impact on retail sales and services, with at least a 15 % sales lift on promoted items/services being common after digital signage usage. According to one report, “global shipments of digital retail signs are set to rise to 2.5 million units, generating a compound annual growth rate of 26.8% from 758,122 units”. This growth is not surprising. Digital signage is a flexible, easy to control point of decision marketing tool with a high degree of measurability. Placing the information where the customer is most likely to see it and being able to easily change this information is valuable for many businesses. However, developing an effective screen network requires solid planning and careful selection of supporting technology. Trinity Video Communications understands the challenges of distributing information across large platforms and networks of recipients and has been at the forefront of digital signage installation, custom planning, and maintenance for almost two decades. 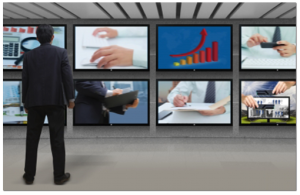 Streaming video, message graphics, way-finding, and information distribution are possible through Trinity Video’s digital signage solutions. Trinity Video Communications provides video, audio, and other communications options for corporate, healthcare, higher education, and government applications. Trinity has a number of government contracts and holds a GSA Schedule 70, with 75% of its employees holding top-level security clearance. Trinity Video Communications specializes in custom room design and systems integration for executive conference rooms, huddle rooms, classrooms, worship centers and command and control centers, as well as unified communications, mobile telemedicine solutions, Bring Your Own Device (BYOD) videoconferencing, digital signage and streaming video.